Hi and welcome to my FM 2015 Challenge Series. I am Nicklas Wicklander. Some of you may remember me by my last name from the forum. I did almost half of an Iron Journeyman which mean you have to win everything you can in Football Manager. Both with domestic teams and with national teams. I also have done stories placed in Brazil with a sort of Youth 2 Gold strategy in mind. I now have the pleasure of writing on the main site. Mainly to make different guides. My first series is about different challenges you can do in Football Manager 2015. Not the type of challenge getting Messi to play for a 2nd tier Swedish team. But to make the game more interesting in terms of rules and goals for you to apply in a save. Everyone of us start with playing a few seasons with our favorite team. I do not have a particular favorite team myself. But I usually take one of the European powerhouses and try the game out and hopefully win some trophy’s in the process. But soon enough I start itching for special challenge. So when you are done with the first challenge of mastering this years game read on! A common challenge in Football Manager is to manage a team that has special rules on who you can buy or register. The requirement to only have certain type of players make for a hard but not impossible challenge. Nations often have problem areas as most can relate to their own national team. Athletic Club in Liga BBVA can only sign Basque players. Young Lions in S-League with only 3 players 24 years old and over. Mexican Chivas (C.D Guadalajara) can only sign Mexicans. Some teams that are from another nation can sometimes have restrictions on nationality so they can only have a couple of players not from their home nation. Usually 5 or 6. Niigata Unicorn (Japan) and DPMM (Brunei) both in the Singaporean League are examples of this. These are the teams I could find with special stipulations the board (and not a nation) put on the team. The Basque Country is a small area in northern Spain and southwest of France. All players in Athletic Club has to come from this area. The best strategy is to focus on building a team with the help of the youth system. You can also sign players from teams that can get youth from this area. This means Real Sociedad and Osasuna most of the time. The problem is that they are also considered fierce rivals. So players are not to keen to change teams. But it can happen. Basque players can also pop up in France which is your best scouting area. Keep an eye out for players that have moved abroad. They can at some point consider moving back to Spain. Especially late in their careers. But Athletic Club have the 2nd best training facilities in Spain and 3rd best (at the same level with 2 other teams incl. Real Sociedad) youth academy. So keep a focus there as a big chunk of your squad will be Youth Academy alumni. Chivas have been very successful with only signing Mexicans. Winning a record 11 championships in Mexico. And with one of the best training facilities in Mexico you have a good foundation already. Mexico has a slight advantage in the North American Champions League so you can build a small dynasty here. You can also be invited to the Copa Libertadores which Chivas has at one point finished as runners up. Although you can only sign Mexican players the upside is that in this case you can poach players from all teams in the league. As the biggest team in Mexico that should not be a problem. America and Atlas is the only exception because of the fierce rivalries. 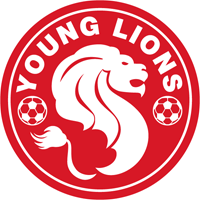 Young Lions is the only team I could find that has an age limit. The Singaporean Football association wanted to help Singapore grow, as Asia has many smaller competitions like Southeast Asian Games. They hoped to create a team that could help a core of youngster to gel together and give Singapore an advantage, as the age limit in the Asian Games are 23. They also wanted to create an environment for youngsters to grow. They have finished 3rd in the league twice and are considered a success. As a manager your problem here is the mental side of the game that most players lack. You are also need to sell players that are to older than 23. Finding youngsters is critical. Players from 19-22 are often to expensive but in their teens they are cheaper. You can keep 3 players that are older than 23. A strong advice is to keep a good goalkeeper, striker and versatile midfielder. One of them should also have leadership skills like Influence and Determination. Athtletic Club is a common challenge and a true test on your skills to train youngsters. 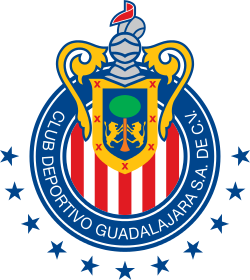 Chivas is of a similar mold but a little easier with the broader player base and better chance of success on the continent. Young Lions is a harder challenge but one you need to do at least once. That is it for this episode, I will have more challenges for you next week. Looking for a Journeyman FM 2015 Challenge? i already tried it with bilbao, very interesting though!! Bilbao is a great team for testing your skills at raising youth. I always get a community feel when I play with them. Keeping track of Basque players abroad. Searching other teams. I did also get 2 players from France on one save and they had Basque nationality.